Bring the activity to life by using an icon of a person jumping over the “U” in the word JUMP. Use a color palette that is lively and gender neutral. 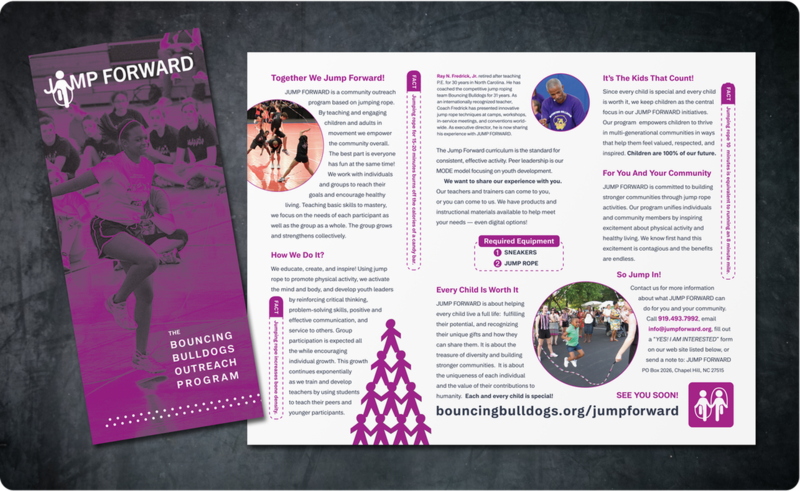 And last, but not least, be playful with layouts so the program feels fresh and inviting to kids of all ages.